The adventure concludes with the triumphant finale in the Riftwar Saga. Raymond E. Feist is an internationally best-selling author. The Kingdom forces may have won the first conflict but the enemy has a strong grip on Midkemia and invasion now seems inevitable. Arutha travels north to confront the Dark Elves, but without help, Pug knows that Arutha's forces face slaughter. With Tomas he must scour the world - and beyond - to find the one person with enough power to give them a chance. 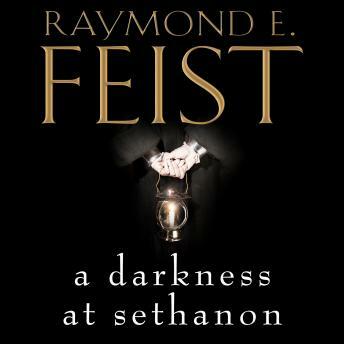 A Darkness at Sethanon concludes Raymond E. Feist's bestselling Riftwar Saga.